Sunrise Flour Mill is Darrold and Marty Glanville who have turned a passion for good health and delcious food into a game-changing company devoted to milling non-GMO Heritage Wheat into quality flours, mixes and pasta products. 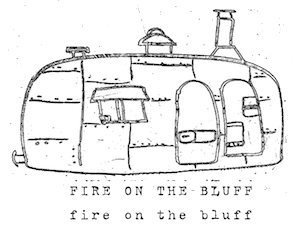 Fire on the Bluff would never have come to be without Darrold's insipiration first in the craft of oven-building then in the art of making no compromises when making dough that is nutritious, delicious and, yes, digestible. We'll be using Sunrise's flour exclusively in all our doughs. I urge you to check out all that Darrold and Marty have to offer. They are regulars at the Mill City Farmer's Market in Minneapolis and make appearances at other events and markets. Check out the Sunrise Flour Mill site for more info.